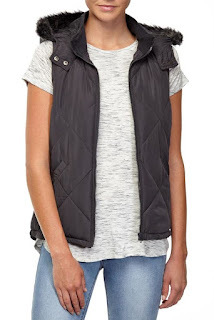 Ask Allison Anything: 4 Bargain Puffer Vests under $40! For my second edition of Ask Allison Anything, I have been contacted by my gorgeous friend Kate (aka Confetti Mumma) who has asked me to source her a few lost cost vest options for Winter. 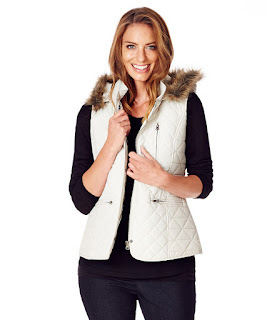 Perfect timing Kate, as right now is a great time to grab a vest because not only have the temperatures massively dropped, so have the prices of Winter clothes! Seems crazy, but the Spring stuff is already being wheeled out in stores so the Winter stuff is SO cheap at the moment. 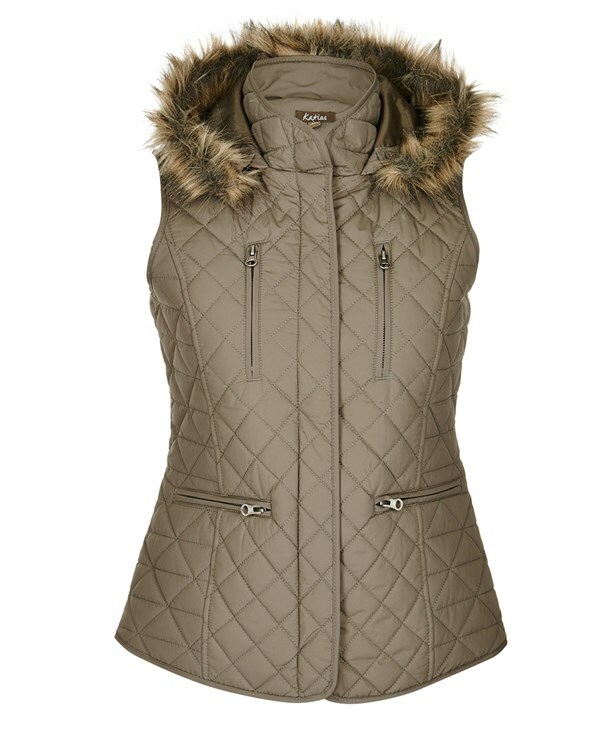 Today I am going to share a few options for my fave type of vest - the puffer! These are SO warm and perfect to layer over a warm knit, long sleeve tee or a long line jumper. My favourite colours are grey, navy and cream - but I have also included a classic black and khaki hue in my options too. I like my puffer with a bit of fur, but you'll find most of these detach if you are not a fan. If you thought Supre was for those under the age of 17, think again! They do offer some affordable essentials for Winter for those the other side of 20 (or 30 or 40!). Their range of puffer vests are currently reduced down to $40 and come in a range of 4 colours - but it is the navy and soft grey that I adore! 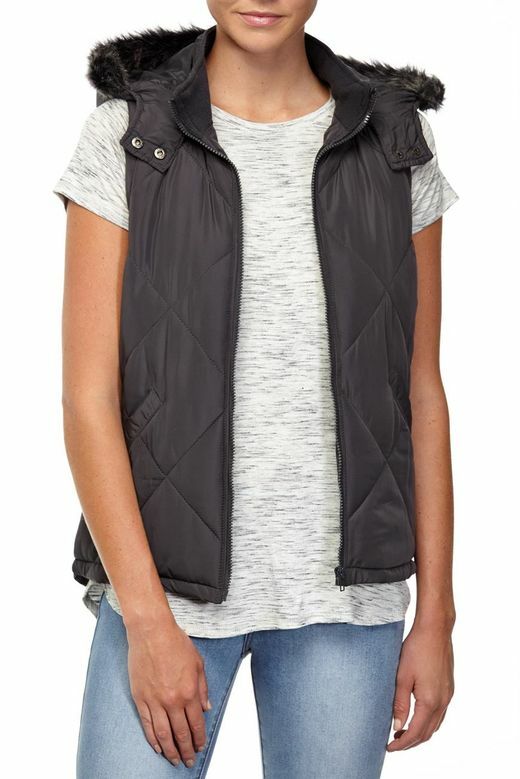 Cotton On have this classic vest in a colour for everyone - navy, black, burgundy and this charcoal grey. It is definitely a hard decision to decide between the gorgeous cream and classic khaki - but at this price grab both! PRICE: Currently $15.00 with 30% off online - only $10.50!! Crossroads is another one of my favourite little chains for bargain priced basics. 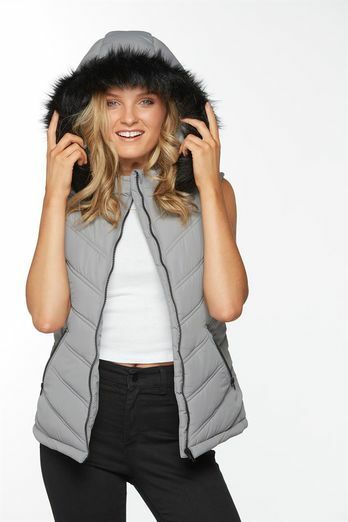 If you love a classic black puffer, then you cannot go past this one currently down to $10.50 - and that's not a typo folks!! Have you got something you want to ask me to find, write about or organise? Feel free to contact me on Facebook, comment below or drop me an email.